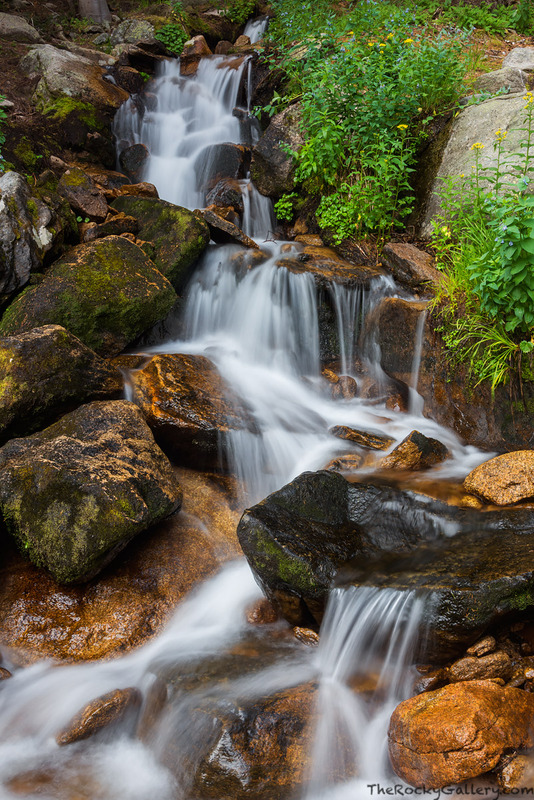 There is something magical about a cascading, bubbling stream during the summer months in Rocky Mountain National Park. Alpine Brook which follows the lower half of the Longs Peak Trail can be one of those locations to sit and recover after a long hike. Weaving through the forest Alpine brooks turns andn winds its way down towards the Tahosa Valley. I have to believe on the hundreds of adventures to the summit of Longs Peak, Enos Mills spent time exploring and resting along the side of Alpine Brook enjoying nature at its best. Photo © copyright by Thomas Mangan.